For bonding and grounding where flexibility is required. 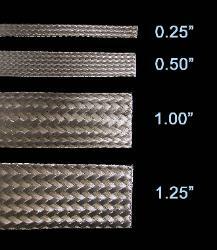 Five widths, from 1/4" to 2". 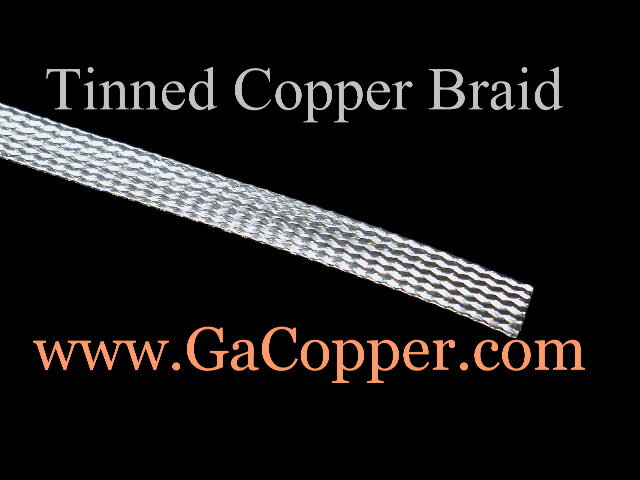 General purpose quarter-inch flat tinned copper braid. This is our smallest size of braid. Approx. 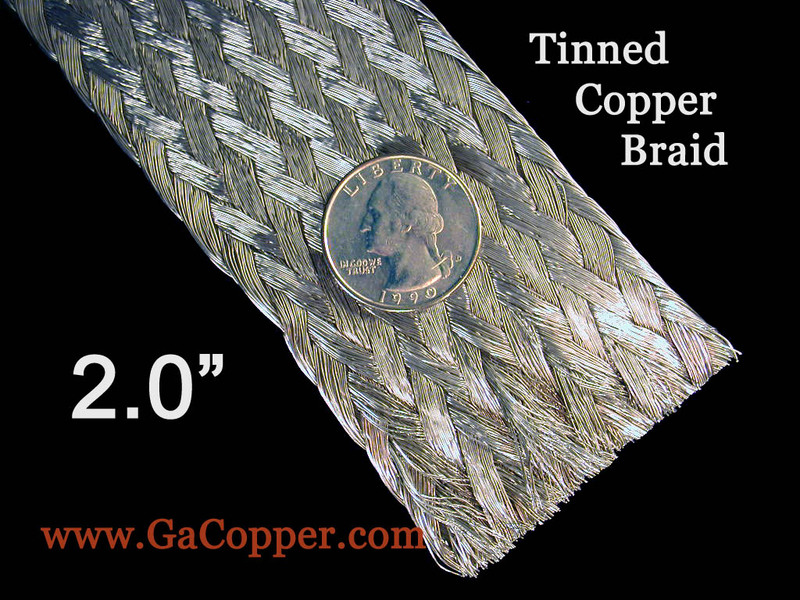 Weight: 20 lbs/1000 ft.
General purpose half-inch flat tinned copper braid. Approx. 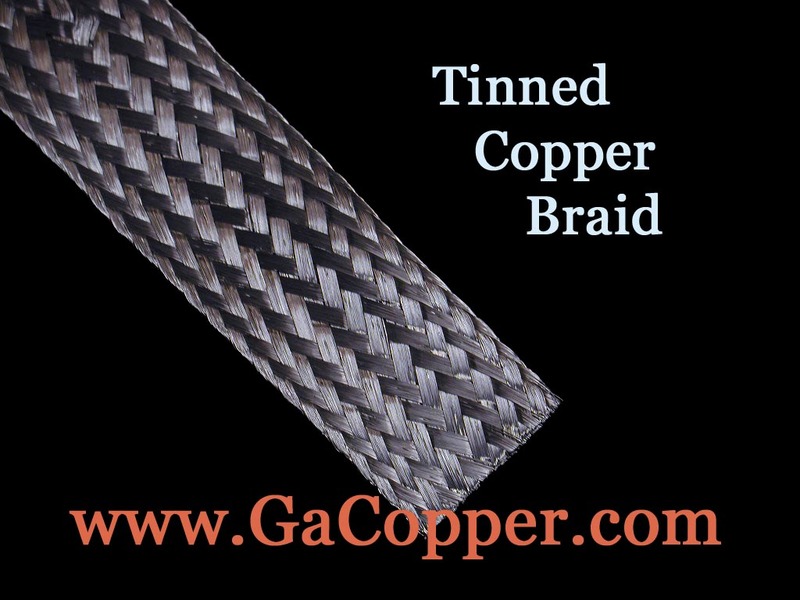 Weight: 30 lbs/1000 ft.
General purpose one inch flat tinned copper braid. Approx. Weight: 75 lbs/1000 ft. 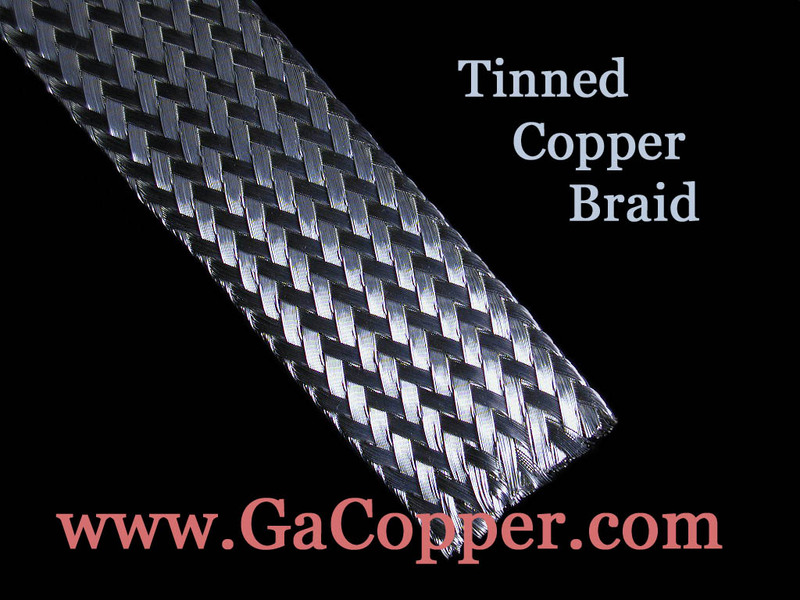 Heavy-Duty 1-1/4 inch flat tinned copper braid. Approx. Weight: 167 lbs/1000 ft. 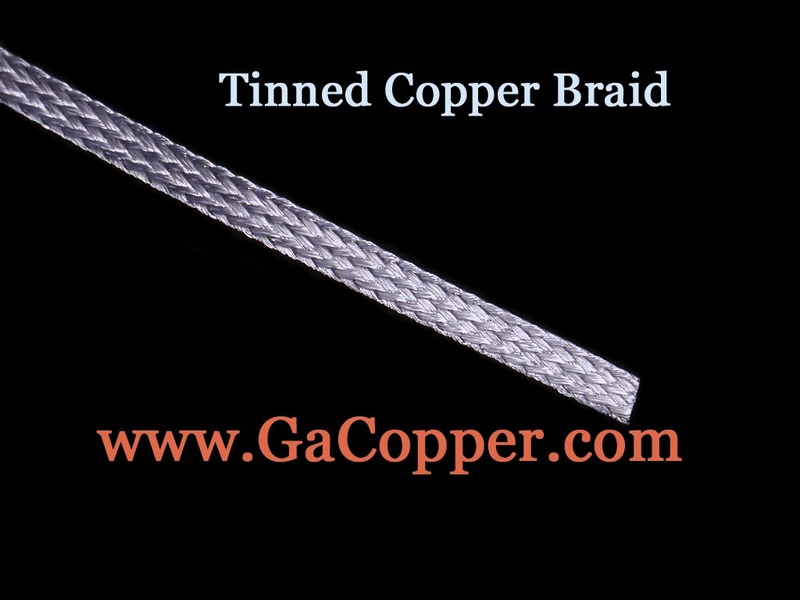 Heavy-Duty 2 inch flat tinned copper braid. Approx. Weight: 477 lbs/1000 ft.
lower current rating should be assumed.